“Hopefully they can anticipate a couple more wins. 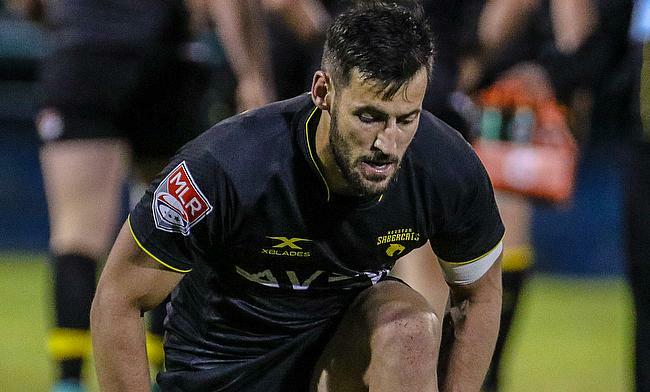 I’d like more than a couple, but let’s start with two wins, and then we’ll be back to winning ways, said Houston SaberCats flyhalf and backs coach Sam Windsor. The Houston SaberCats ended MLR’s maiden season at the foot of the table, picking up a solitary win throughout the campaign. Coached by former Ulster and Ireland prop Justin Fitzpatrick, Houston drew a lot of attention going into the league season. Signing players who had a range of experience, Windsor admits that some of the players underestimated the transition to American rugby: “It took the season for them to fully realise that this is a professional league and just because you played in the Premiership, Championship or Pro 14, it doesn’t mean you’re going to be killing it over here in the leagues. Windsor moved to Houston after spending time at the Seattle Saracens with Justin Fitzpatrick and began work with the SaberCats when there were just two desks in an office space. The flyhalf would go on to find himself doing some tasks that he would have scarcely imagined. Despite their low finish, the SaberCats still caught the eye across the Atlantic. One of their stand-out performers, Paul Mullen, was picked up by the Newcastle Falcons on a short-term contract at the start of their season and Windsor says that the club encourage their players that Mullen won’t be an isolated case. MLR’s maiden season was a success for Windsor too. The Australian finished at the head of the points scoring charts, meaning he will be the leagues top points scorer when the new season kicks off. Windsor says that the tag provides good motivation for him. Houston start their MLR campaign against Austin this Saturday at 7pm (ET) and play their first home game on 22nd February against the Toronto Arrows.